What do you plan for your students with only a few weeks left in the year? You want to keep your students engaged in school but, it's obvious that they're ready for summer. 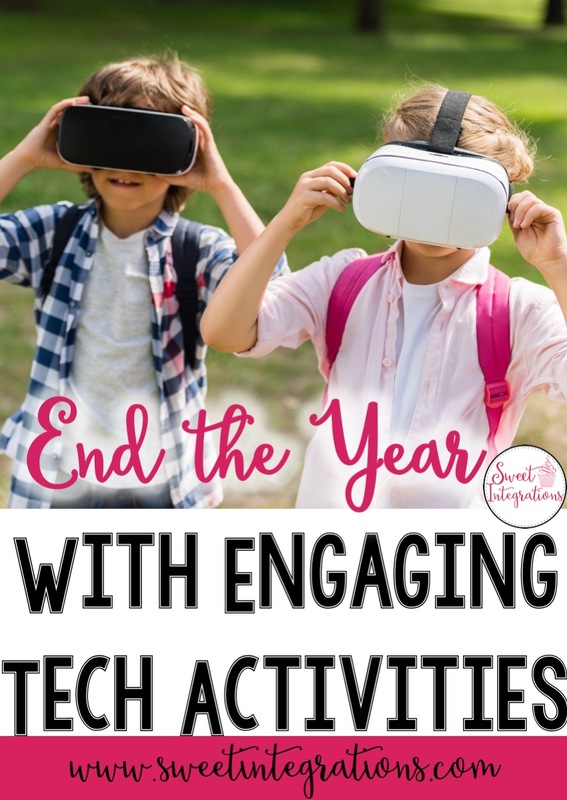 To ensure your students continue learning until the last day of school, you can end the year with technology by using these engaging tech activities. With Flippity, you or your students can create your own Game Shows. This is fun to use as a year in review or students can select their own trivia questions for the game show quiz. Try creating a summer Madlib, word search, or Bingo Game. 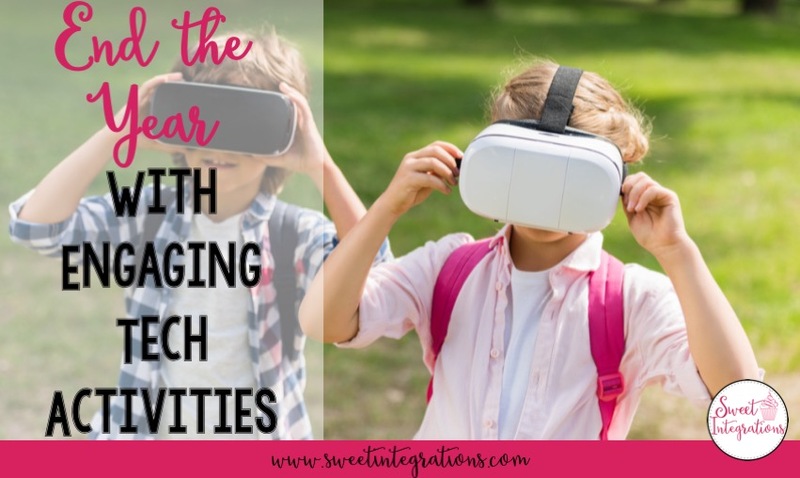 Your students will love these activities as the year winds down. The Techie Teacher has several ideas to end the year with technology using Google Slides™. Students can create an informative brochure for the next year's class. The brochure includes a favorite memory, words of advice, favorite project, and more for future students. Julie also has a collaborative poster poster keepsake activity using Google Drawing and Google Slides. Students take a selfie and crop it so the photo fits inside a balloon. Then, they can add their name and details to the balloon. I've designed a Google Slides™ Memory Book for Google Drive™ which can be shared with classmates. Students can decide which slides they want to use and save or print as a keepsake. Take your students on a digital scavenger hunt as they solve problems and riddles to break open locks. I've designed breakouts which teach concepts in science, social studies, math, and language arts. 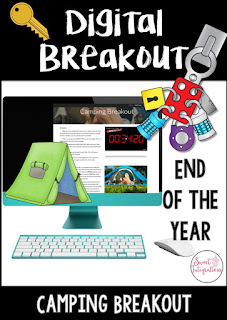 My Camping Theme Breakout incorporates collaboration, technology, team-building, science, and math. If you want to end the year with technology, it's the perfect time to implement a Project Based Learning unit. Students are through with testing and PBL is self-motivating. Students actually want to find information to solve a problem or challenge. Students can Plan a Fantasy Vacation, Open a Food Truck, Open a Summer Camp, or Open an Ice Cream Shop. 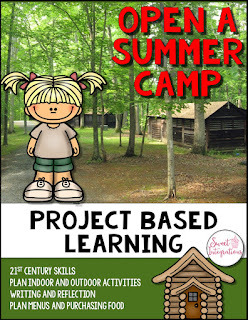 Take a look at more info to end the year with project based learning. I love the way Erintegration has used the free website Loupe to create an end-of-the-year Photo Collage. Students just import photos from Google Drive or other storage platform to fill in their selected image. This is a fun way to display photos of projects, field trips, and special events from the school year. Take a look at more of Erin's end-of-the-year activities with the iPad. 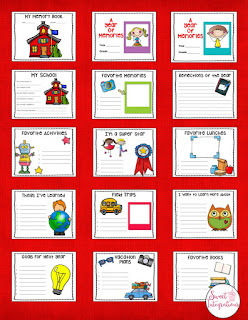 Study All Knight has created a Vision Board Student Workbook for student goal setting for the next year. The Vision Board Workbook can turn into a student poster for display or a keepsake. Danielle designed the unit for plenty of engagement and creativity. The Vision Board focuses on Growth Mindset. A digital version is included in the product via Google Slides™. I always love Danielle's high-interest visual activities which involve collaboration and deep learning. Goodwinovate is the "App Queen" for iPads. Anita used the EyeBomb It app to create an End-of-the-Year Googly Eyes activity. 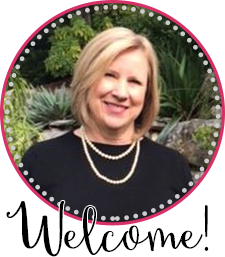 She gives step-by-step instructions in finding photos, adding backgrounds, text, and the cute Googly Eyes to the creation. Students add speech bubbles and text to complete the activity. These are so cute for EYE Am Looking Forward to Summer! I always look forward to Anita's innovative iPad ideas. One of my student favorites is Keyboard Races. I select different categories for students to type. (ex. 3 letter words, 4 letter words, 5 letter words within a certain period of time). I give out little prizes to winners. Then, students can type fruits, vegetables, dogs, animals, etc. I try to think of different ways to test their skill and speed in keyboarding. Another fun keyboarding activity is Musical Chairs (Scoot) with the computer. Students add to story starters. When the music stops, they scoot on to the next computer and add to the previous student's story. FUN! FUN! FUN! So, there's no need to worry about planning for the end of the year. These engaging activities can be infused into any elementary or middle school grade level. You can enjoy your time with your students and end the year with technology.